The ESRC Centre for Corpus Approaches to Social Science (CASS), Lancaster University is organising a free half-day seminar on collocations. This seminar is a part of a two-part series and offers a combination of two lectures, a practical session and a discussion forum. The practical session focuses on corpus approaches to identification and visualisation of collocations. A guest speaker at the seminar is Prof. Frank Boers from Western University, Canada. The attendance is free, but registration in advance is required if you want to attend in person since the number of places is limited. There is no need to register if you are following the seminar on Twitter. Please click here to apply. Boers, F., & Webb, S. (2018). Research timeline: Teaching and learning collocation in adult second and foreign language learning. Language Teaching, 51, 77-89. Brezina, V., McEnery, T., & Wattam, S. (2015). 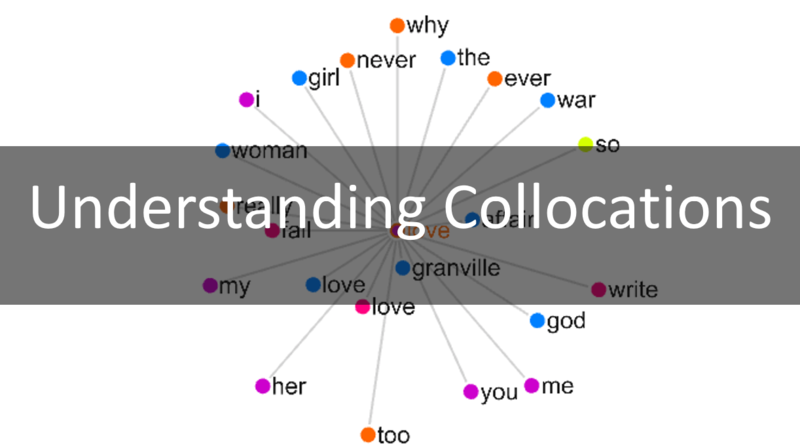 Collocations in context: A new perspective on collocation networks. International Journal of Corpus Linguistics, 20(2), 139-173. Gablasova, D., Brezina, V., & McEnery, T. (2017). Collocations in Corpus‐Based Language Learning Research: Identifying, Comparing, and Interpreting the Evidence. Language Learning, 67(S1), 155-179. The seminar was supported by ESRC Strategic Investments – International Networking grant (ref. ES/R008906/1).